It is National Waffle Day! You know I love food holidays, so of course we are celebrating. And luckily I didn’t have to wake up early to make waffles. We made Brown Butter Banana Waffles last weekend and put some in the freezer. So all I had to do is pop the waffles in the toaster this morning! Happy National Waffle Day to us! I make these waffles when our bananas are too ripe to eat on their own. 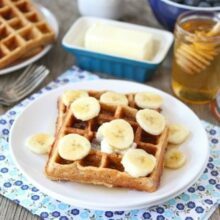 I love making banana bread and banana cookies, but these Brown Butter Banana Waffles are also high on the list. They are such a great breakfast treat. They taste like banana bread, but in waffle form. And the brown butter-holy Hannah! It makes these waffles extra special. If you haven’t tried brown butter, you must change that by making these waffles. Go, right now! The waffles are light and fluffy. They crisp up a bit, but are still soft thanks to the bananas. I like to serve them with fresh banana slices, a little drizzle of honey, and a dab of peanut butter. Josh prefers them drenched in maple syrup with butter. They are good both ways! I highly recommend you make these Brown Butter Banana Waffles this morning…and make sure you make a big batch so you can put some in the freezer for later. They are great for lazy weekend mornings or for a quick back to school breakfast! Got brown bananas? 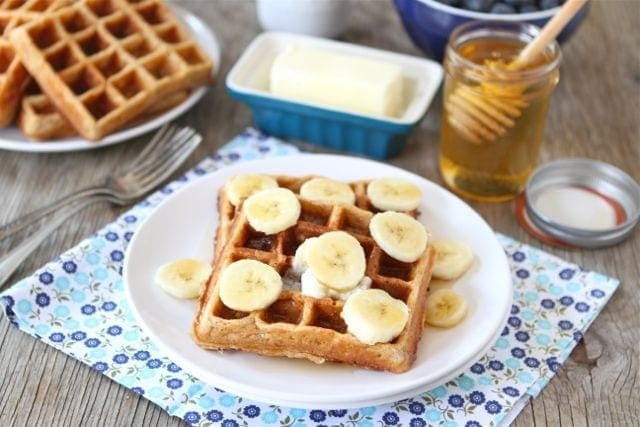 Make Brown Butter Banana Waffles for a special breakfast treat! In a separate small bowl, mash the bananas with a fork; stir into batter. Using a stand mixer or hand mixer, beat egg whites until stiff but not dry. Gently fold into the batter. Ladle the recommended amount of waffle batter onto the hot waffle iron according to the manufacturer's recommendations. Close lid; cook waffle is golden brown on both sides, about 5-6 minutes. Serve immediately or keep warm in a 200 degree F oven until ready to serve. it’s just a shame I don’t own a waffle iron, or I would make this! What brand is yours? Happy Waffle Day! Yes, these look like a wonderful way to start the day. I wish I had some of these in my freezer! Banana bread in waffle form? Doesn’t get much more perfect than that. I need to call in sick to work today so I can stay home and make these! Yum!! These look delicious. I totally need a waffle iron. Good morning waffles! What a delicious way to wake up. I LOVE WAFFLES! My favorite thing to order when I go out to breakfast. I’d kill for one right about now! These look delish! Can I make them in a Belgian waffle maker? I don’t have a regular waffle maker. These look amazing! I can’t get enough of waffles, they are just too good! I just can’t resist a good waffle, so good! Brown butter is my new favorite smell:-) The whole house just smells so good after baking with it! 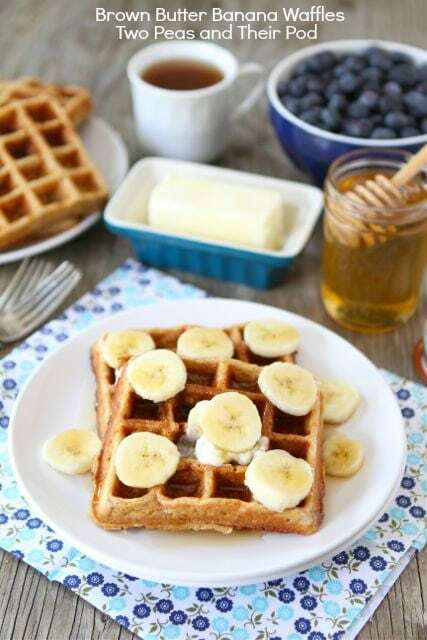 These waffles look great…I sure wish I had some in my freezer right now!!! Anything with brown butter wins! Those waffles look awesome! Need to get myself a waffle maker asap! Yummy! These look so good. I love bananas in pretty much anything. Ahhhh, Brown BUTTA! Honestly, what is more decedent and honey? If only I had a waffle grill! This recipe might be reason enough to get one. I made your coconut granola a few months back and have been addicted to it ever since— so I am sure this recipe will be the same. Happy Waffle Day!!!!! I’m completely craving waffles now! banana pancakes and waffles are a favorite of ours too! such a great way to sweeten them naturally and use up the ones that need to be used asap. have a great weekend! 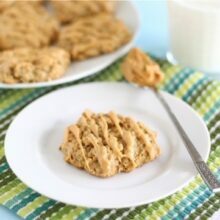 A new way to use up ripe bananas! Thank you!! 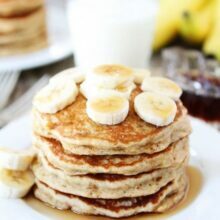 well, I do love banana pancakes, so I am sure that these are fantastic! Good luck with your search! Sounds like the perfect breakfast! It has been entirely too long since my last waffle. Bananas and brown butter? YES. I have an absolute love affair with banana waffles! They are one of my very favorite breakfast treats! these are just gorgeous!! Love these Maria ~ anything with brown butter is a win! I want to stuff a huge stack of these in my mouth! What a perfect idea for the weekend! Brown butter always catches my attention..love it! As soon as I saw these posted on twitter AND found out today is National waffle day I had to make then. Messy – since I used many bowls to make these – but totally worth it. SO GOOD!!! Happy National Waffle Day! 🙂 These look fabulous! I still haven’t tried browned butter in anything. It looks like I need to get on this wagon! I don’t think I need the National Waffle Day excuse to make these! Yum! Definitely craving waffles now. Maybe I’ll have to make some in the morning 🙂 these look super delicious! I really wish I ate these for breakfast this morning. These look so darn yummy! These waffles look delicious. I just made strawberry creeps the other day for breakfast and I would love to try these waffles out over the weekend. Your photos are gorgeous! Brown butter is gorgeous. Win all around! This is a fabulous way to celebrate waffle day. Banana bread in waffle form is such a great idea. You definitely celebrated national waffle day right! 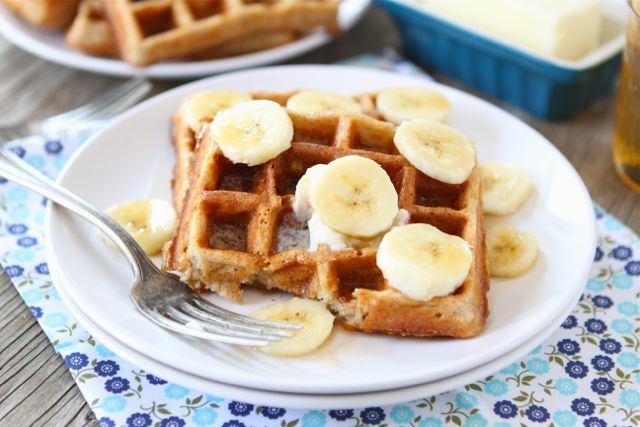 Brown butter banana waffles?! Genius! 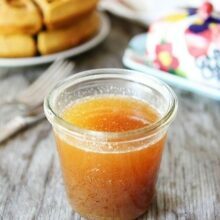 browned butter is my secret little weapon in the kitchen! makes everything taste THAT much better. Love how fluffy these are, Maria! That is brilliant, Maria! You have a breakfast food gift. I am not even a breakfast person and that sounds fabulous. These waffles look amazing!! I just made brown butter pancakes and they were awesome…I’m sure your waffles are heavenly!! How could I not absolutely adore these waffles!?!?! They look marvelous! I think every day should be National Waffle Day. Just think how many different ways you can make it. I love banana waffles, but have never done it with brown butter. I have some bananas that are almost perfect for these, now to get everyone to leave the bananas alone…. Just made these for breakfast–outstanding! Worth the effort! Do you add the honey with the wet ingredients? It isn’t in the directions part of the recipe. Thanks. 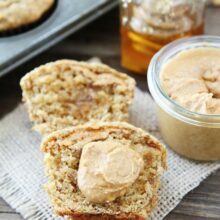 Making these right now and already made two without the honey but added it when I looked at the ingredient list. So when and where do you add the 2 T honey? It looks like most of the comments were made by people who never made the recipe. Add the honey with the brown butter and vanilla. Start on the lowest heat and then when it beeps, cook for additional time on the 2nd to highest heat. Can we make these as pancakes instead? Anyone try it? Who rated this recipe 2 stars? Hands down, my absolute favorite waffle of all time. The combination of the browned butter + banana is the ultimate treat. The waffles are jam-packed with flavor and are super moist. My husband requests them every time we’re craving waffles, highly recommend!